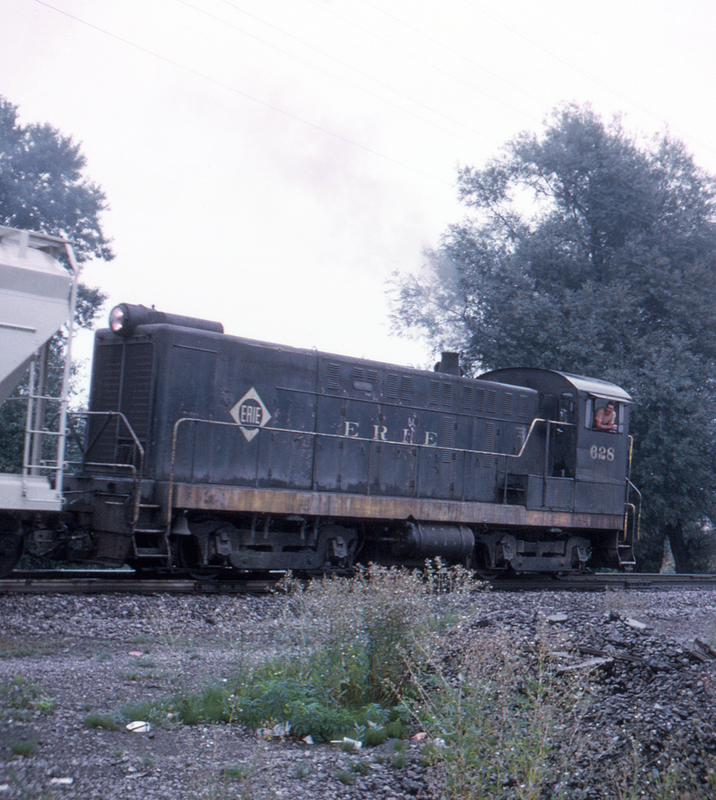 The Erie Lackawanna was still running Baldwin diesel switchers (still painted in Erie colors!) as late as the early 1970s. Here #628 is seen on the "Warren freight bypass" from the Liberty Road grade crossing west of Warren, Ohio.